The US Commission on International Religious Freedom, Archbishop Demetrios and the Coordinated Effort of Hellenes have decried the interruption of Christmas mass, by the Turkish occupation regime, in the northern Turkish occupied part of Cyprus. The US Commission on International Religious Freedom (USCIRF) has expressed concern that Greek Orthodox Christians were refused the right to celebrate a Christmas Liturgy service in the village of Rizokarpaso, in Cyprus’ Turkish occupied areas. 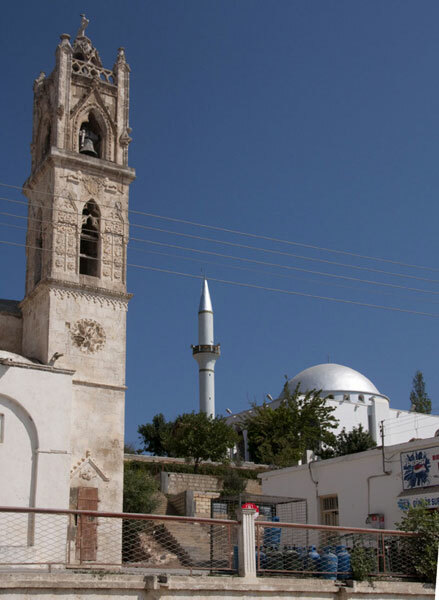 ”It is wrong and a symbol of religious intolerance and repressive policies of the Turkish Cypriot authorities supported by Turkey’s occupation troops to require such a small church community to seek permission to hold Christmas Liturgy,” said Leonard Leo, USCIRF chair. ”Requiring such permission is simply a bureaucratic ploy that violates the universally protected right to freedom of religion and belief. The Greek Orthodox population has declined steadily in the area of Cyprus under the control of the local Turkish Cypriot authorities and Turkey’s occupation troops,” he noted. In 1960, the Greek Orthodox population in Rizokarpaso was estimated at 3,000 and was part of approximately 180,000 Greek Orthodox living in the northern part of Cyprus. Today, there are approximately 350 Greek Orthodox adherents enclaved in Rizokarpasso. According to State Department reports, the church was one of seven religious sites in the area administered by Turkish Cypriots where religious services could be performed on a regular basis without receiving advanced permission. The denial of the Christmas service runs counter to those claims, USCIRF noted. 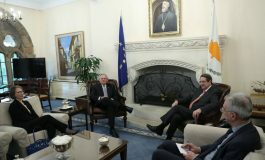 In response to the action of the illegal Turkish Cypriot regime in Rizokarpaso, Archbishop Demetrios of America sent a letter to Secretary of State Hillary Clinton dated December 30, 2010 bringing to the Secretary’s attention the “disturbing and painful” event which happened on Christmas Day in the small church of Saint Synesios in the town of Rizokarpaso in the northern Turkish occupied territory of Cyprus. In his letter, he shortly describes the forceful interruption of the Christmas Divine Liturgy by “police officers” of the illegal Turkish Cypriot regime and decries these actions as a blatant violation of religious freedom and human rights of the Orthodox faithful. He states that these actions are in direct opposition to long established agreements of the Third Vienna Agreement of August 1975, of the European Convention on Human Rights, and the Universal Declaration of Human Rights. The Coordinated Effort of Hellenes (CEH) has sent a letter to President Barack Obama urging him to stop Turkey from following through with its recent threats against the Republic of Cyprus. It appears that the threats and actions are linked to Cyprus’ bilateral agreement with Israel to enable joint hydrocarbon exploration through an American company, CEH noted. It said that on December 20, in reaction to the announcement of the Israel-Cyprus bilateral agreement, a senior Turkish Foreign Ministry official threatened actions against Cyprus because of its agreement with Israel. Five days later, the Turks took the unprecedented step of prohibiting Cypriot Christians from the religious celebration of Christmas in the Turkish-Army-occupied area of Cyprus. 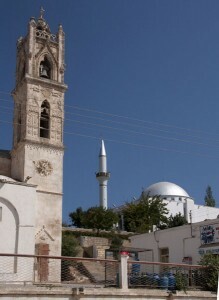 ”This is an escalation of the ongoing problem of the desecration of Jewish and Christian cemeteries and hundreds of churches in Turkish-occupied Cyprus,” CEH noted and urged President Obama to help the Turks understand that such actions, in addition to being against the religious freedom standards of the modern world, are also in violation of the Third Vienna Agreement of August 1975; Articles 3 and 9 of the European Convention on Human Rights; and Article 18 of the Universal Declaration of Human Rights. The Order of Saint Andrew the Apostle strongly condemns the interruption of Christmas Day Divine Liturgy at the church of Agios Synesios at Rizokarpaso, located in the northern Turkish-occupied part of Cyprus, by so-called “police officers” of the illegal Turkish Cypriot regime. This deplorable action carried out on one of the most holy days for all Christians is a blatant violation of the basic human rights and fundamental freedoms, and in particular, the religious freedoms of the Greek Orthodox Christians who continue to live in the northern occupied part of Cyprus. 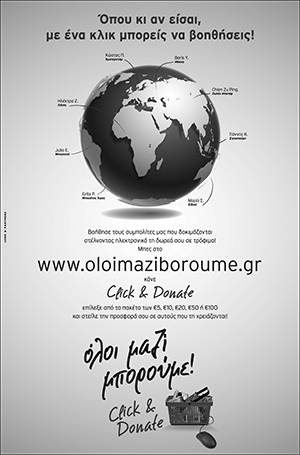 Coupled with the policy of pillage, destruction and desecration of the cultural heritage of Cyprus that the occupation regime has been following since 1974, which has led to the destruction or desecration of more than 500 Greek Orthodox churches and chapels in the occupied areas of Cyprus and the illegal transfer of more than 60,000 ancient artifacts to third countries, the continuous violation of the religious freedoms of the enclaved Greek Cypriots is regrettably an unacceptable reality. This latest action manifests complete and utter disrespect for the religious freedoms of the enclaved Greek Orthodox Christian Cypriots and violated in clear and unambiguous terms, amongst others, the Third Vienna Agreement of August 1975, which continues to be the only agreement providing for the treatment of Greek Cypriots living in the occupied areas of Cyprus, the European Convention on Human Rights and the United Nations Universal Declaration of Human Rights. The Order of Saint Andrew calls upon Turkey to fully respect the religious freedoms of the Greek Orthodox Christians who continue to live in the northern occupied part of Cyprus and urge the United States Government to condemn this unacceptable act and work towards truly safeguarding the basic human rights and fundamental freedoms, including the religious freedoms, of the enclaved Orthodox Christians who reside there.